The construction industry is beginning to unscramble the plethora of changes introduced by BIM (Building Information Modelling). Architects, engineers, builders and designers alike are updating their systems to create more cooperative processes and improve outcomes. Making sure that you are really accessing the true potential of BIM, and not falling victim to marketing fueled ‘BIM washing’ is critical to gaining a competitive advantage in 2019. But, the broader truth is that BIM isn’t actually that new. Where the true cutting edge of construction really sits is in matching the database-first models delivered by BIM to real spaces using reality capture technology and point clouds. 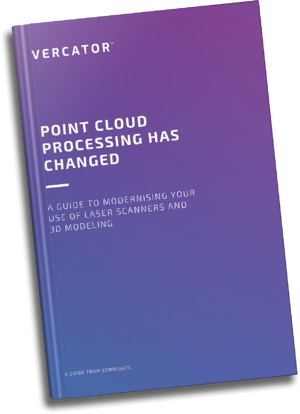 Changes in point cloud processing software are making this a more accessible option than ever before. Here, we will explain what has changed and how scan-to-BIM technology is creating even more possibilities in a rapidly digitising constructing industry. Scan-to-BIM (or point cloud to BIM) is the practice of using 3D laser scanners to build BIM schematics of existing spaces. For example, a surveyor may visit a location to be used for construction or renovation, and collect data points in order to build a hyper-accurate representation of that physical space using digital tools. That scan data can be used to create an as-built BIM model of an existing structure, or form the foundations of the model for a new construction project. This is generally done using LiDAR technology and techniques, allowing laser scanners to collect three-dimensional area data that is then fed into the system via point cloud processing. Scan-to-BIM can also be used to compare stages of construction and prefabricated parts to plans so that quality control can be managed with exacting detail and projects can be completed to plan. Where deployed, this delivers the highest levels of quality assurance possible, taking the detailed scheduling and schematics of BIM to the next level by allowing teams to compare those plans to outcomes, in precise detail if required. It saves time and money for design and construction teams by preventing mistakes through the use of real data. Fundamentally, scan-to-BIM allows you to go beyond the best BIM can offer on its own and grab the future of what BIM will offer. Scan-to-BIM will play an increasing role in construction as the industry moves forward. But, it is still in its infancy. By adopting scan-to-BIM processes and technology now, you can get ahead of the curve and differentiate yourself — even from teams using fully enabled, single-source-of-truth, database-first BIM. Scan-to-BIM improves quality assurance across the entire design and construction process, offering better oversight and review. By using scanning technology to compare plans to what is actually happening, you almost eliminate the possibility that mistakes go undetected. Whether designing a completely new structure or renovating an existing structure, scan-to-BIM helps to make the process easier and provide more accurate results that can be shared across the project workflow. It can help teams in a situation where it would be difficult to deploy BIM processes access the competitive advantage of BIM, and it takes the quality assurances of BIM to the next level. Prefabricated components can be used with confidence when reviewed with scan-to-BIM. It is even enabling the wider adoption of experimental production techniques like 3D printing. The use of prefabricated materials can dramatically decrease construction costs and time, delivering a significant competitive advantage for teams with access to this type of technology. It allows smaller teams to do more while spending less time on location by using simpler manufacturing processes. Scan-to-BIM also makes it easier to undertake construction in sensitive or inaccessible areas, such as listed buildings or locations with natural features that might need to be included in designs. With more data available about the site, a more accurate digital model can be created. Designers are able to take the necessary precautions to work around protected areas — rendering the process safer and more efficient. Scan-to-BIM brings its beneficial technology and process improvements to renovation projects by allowing designs to be directly informed by what is already there. An as-built BIM schematic can be created, allowing for all design and construction processes to be undertaken with the same modern techniques that a ‘from the ground up’ construction product would enjoy. Why is scan-to-BIM important now? The use of BIM has increased in recent years, and those in the design and construction fields can definitely benefit from being informed about the latest technology and procedures. Part of the reason that scan-to-BIM is important now is as a means to gain a competitive advantage — differentiating your organisation in a construction industry that is increasingly utilising BIM. But, BIM is actually something of a prerequisite to scan-to-BIM. You need the digital platform on which to upload your scan data. This can be done with CADs, but the greater accessibility and impact of BIM data across an entire construction/design team makes the investment in scanning deliver a greater return on investment. Scan-to-BIM has also become a more accessible investment because of parallel changes happening in the surveying community. Laser scan surveys have been commercially available for nearly three decades. However, they are not necessarily cheap. But, this is starting to change. 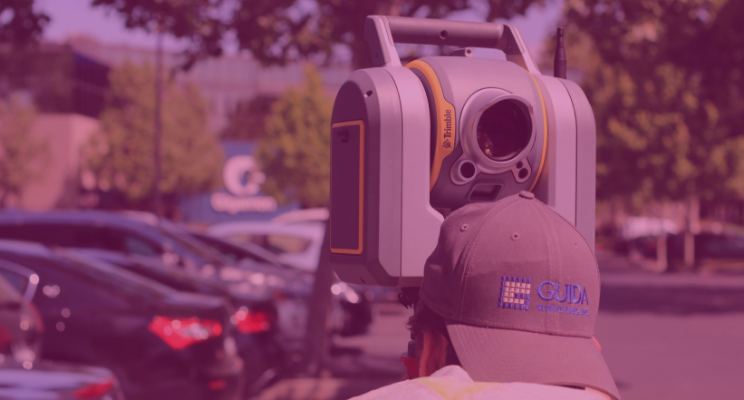 Advances in point cloud processing have made the survey process faster and more affordable, making it easier to partner with surveyors and collect the required data. Multi-stage, vector-based point cloud processing software delivers both speed and accuracy without the need to compromise on either. New techniques have reduced the amount of time needed to align scans and can be combined with automation to complete the point cloud registration stage 40%-80% more quickly. By accessing survey partners who use this type of technology, construction and design teams can access scan-to-BIM technology at much lower costs, enabling its deployment in a broad range of circumstances and delivering the types of efficiency and quality control improvements that they need to gain a competitive advantage in 2019. Scan-to-BIM is increasingly one of the most important technologies for teams to have if they want to improve their building information modelling performance. It offers a strong competitive advantage, especially now that it is allowing companies to get ahead for less. Whereas scan-to-BIM might once have been expensive and difficult to access, it is now considerably cheaper for anyone who puts in the effort to find the right partners. Finding the right partners, however, is critical. Just how scan-to-BIM is a fledgeling function within construction teams, the multi-stage, vector-based processing software that is enabling surveys to be done more efficiently is only just starting to make waves in the survey community. But, the price variations within scan-to-BIM technology actually accelerates the competitive advantage that can be gained by those who can access the right partners. Fundamentally, any team that wants to access the cutting edge of what BIM has to offer in 2019 needs to look beyond BIM itself and seek to partner single-source-of-truth, database-first design processes and technology with scanning technology. This amplifies the benefits of BIM, bringing models in touch with real-world spaces. This is where the industry is heading. The sooner you get there, the greater advantage your teams will gain. You have been reading about how to gain a competitive advantage using BIM in 2019, and how scan-to-BIM should play an important role in your strategy. 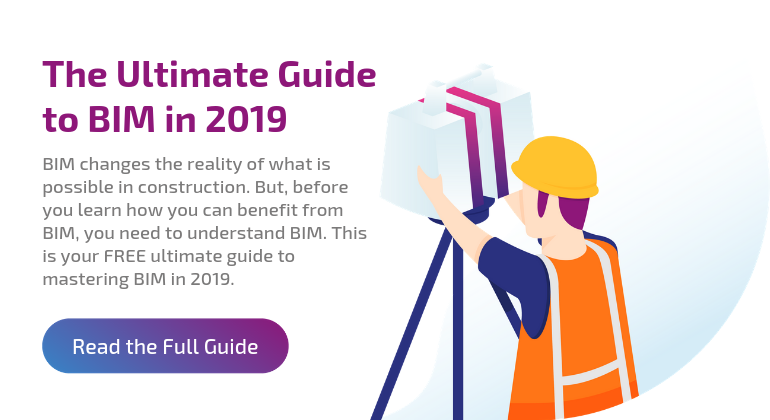 If you want more information on how to get the most out of BIM, updating both your processes and technology, we have written an Ultimate Guide to BIM just for you.